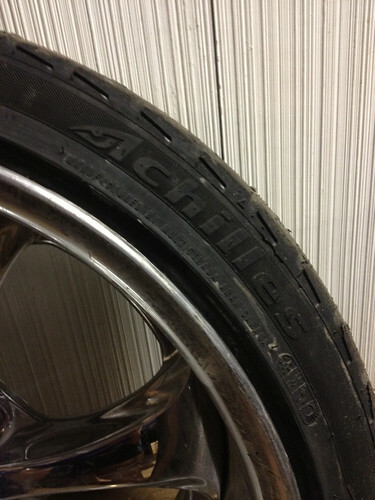 This past weekend Shawn and I had the opportunity to test on the new Achilles Radial ATR Sport 2 tire. The results……amazing. I started off with a pair of tires that had only 25 % left in them. 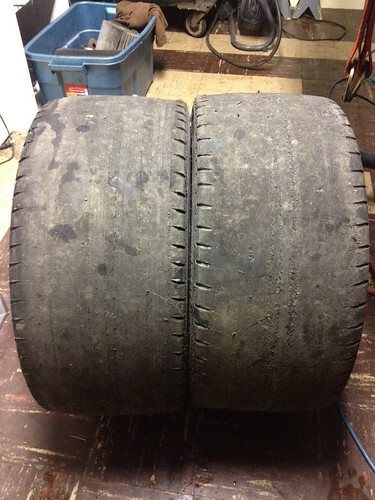 Even though the tires were almost bald I was warned by Bryan Bridges and Robbie Nishida of Bridges Racing to “Air them up because the grip level is crazy” Taking advice from the pros I inflated the tires to 55psi which is double what I normally run in any other brand. I hadn’t used the tire before competition so I thought it would be best to rip a huge burnout and then slide the infield to feel them out, they felt GOOD! Entering comp time , even with 350whp and 55psi in the tires the grip was still so impressive that it was pushing me to the bottom of the 5/8ths bank. Sunday Funday would be the true test for these tires, lots of track time, all tandem and a long course would put them through there paces. 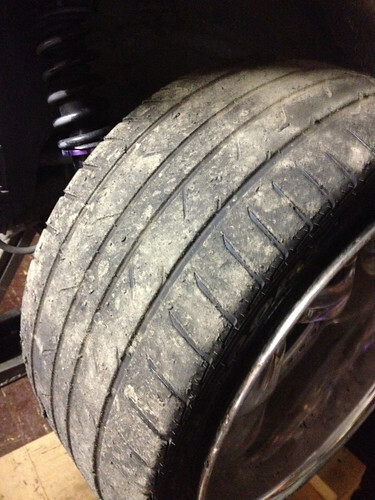 As the tires wore throughout the day the grip level did not drop. 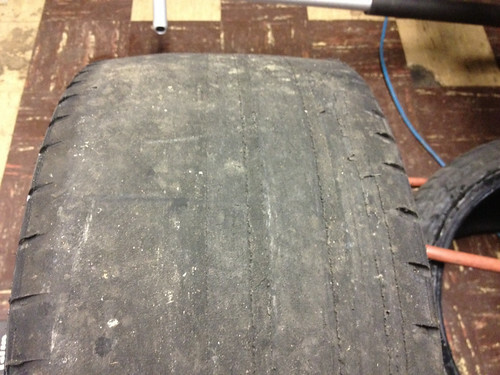 After every session I would go check the tires and they would just get smoother and smoother, but the grip was still there. I told myself i wouldn’t change the tires the until the grip faded, I probably did 25 laps and didn’t change tires all day. The grip is crazy, the smoke is crazy, and these will not chunk. One set of 25% tires lasted me a huge opening ceremony burnout, 2 runs on the 5/8ths and a whole day of tandem fun with my bros. These are without a doubt the best tires i have ever run. If you are after an affordable tire, that has the grip level of a super expensive R comp, but will last you FOREVER this is the tire for you. If its good enough for Daigo Saito its good enough for me! This entry was posted on Wednesday, July 25th, 2012 at 10:11 pm and is filed under Uncategorized. You can follow any responses to this entry through the RSS 2.0 feed. You can skip to the end and leave a response. Pinging is currently not allowed. I have the ATR Sports on my auto cross car now. Very good, what is the tread wear rating on the ATR Sport 2s?